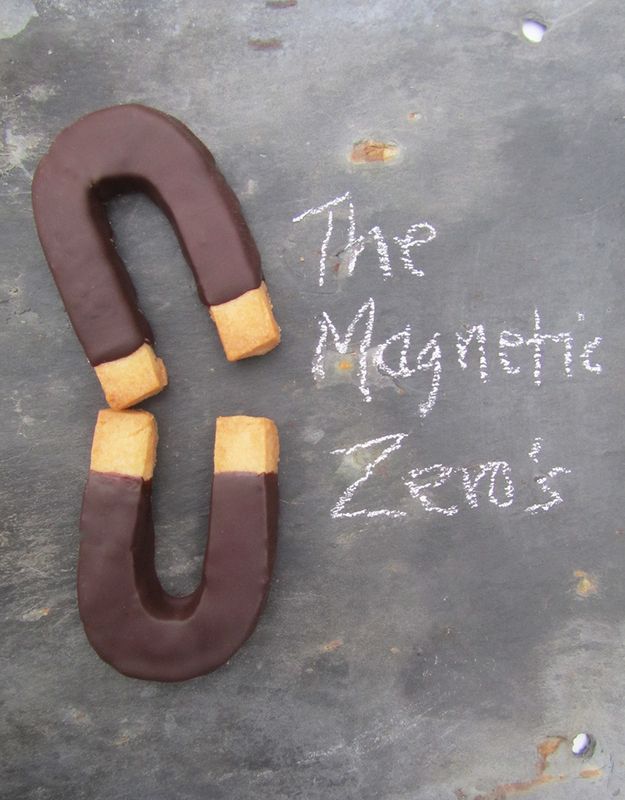 My Magnetic Zero’s were inspired by the band Edward Sharpe and the Magnetic Zero’s. I have been listening to a lot of their music lately, mainly in the kitchen so thought I’d create a bespoke bake around them while experimenting with different shortbread recipes and designs. 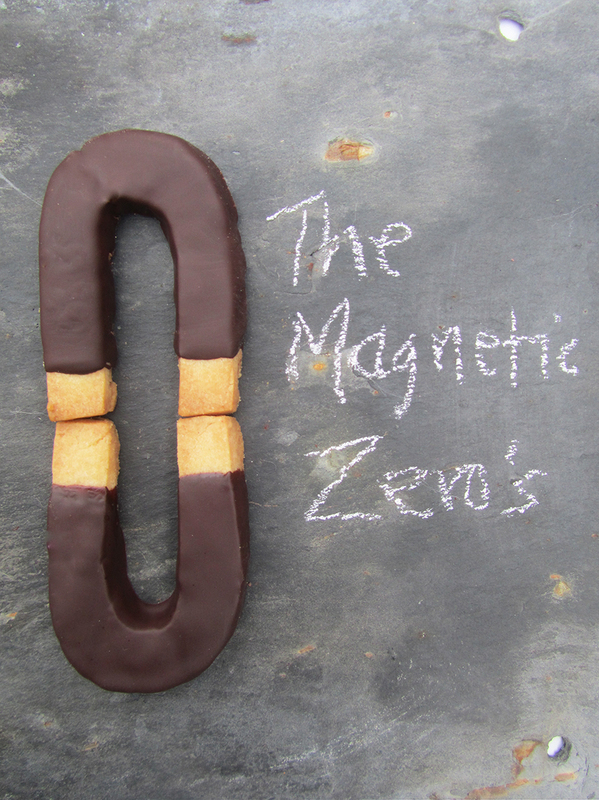 The bake itself is a vanilla shortbread dough that I cut into magnet shapes, which once baked are dipped in chocolate to create the appearance of a magnet. The idea is that when two are placed next to one another they create the impression of a zero, hence the name inspiration and general greed on my behalf. The chocolate certainly appeared to have a magnetic effect on the shortbread and my own and others sweet tooth. When shared out they were polished off in zero time, Edward Sharpish. Sorry, shameful pun even for me!